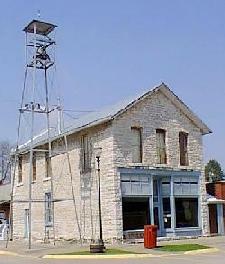 This mission of the Van Buren County Historical Society is to discover, collect and preserve articles which may establish or illustrate the history of Van Buren County, Iowa and its various villages. Exhibits and displays of historic relics permit interested parties a glimpse of the heritage of this area. 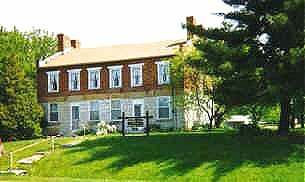 The Van Buren County Historical Society was organized in 1960 to preserve and promote the historical heritage of the county. Over the years, the Society has pursued these objectives by acquiring a vast array of artifacts, including historically significant buildings and property. The 1845 Pearson House, a station on the Underground Railroad, the 1847 Ellis School and Keosauqua Log Cabin are open to the public from Memorial Day weekend through Labor Day from 1:00 until 4:00 p.m. Sundays, or by appointment; 641-431-0581 or 319-293-3494. The Selma Cabin is open on weekends during the summer months. The Historical Society Museum which is housed in the Twombly building in downtown Keosauqua is open to the public on "special days" (see local newspaper for notices), or by appointment; 641-431-0581 or 319-293-3494. Membership Meetings are held monthly with a meal and interesting program. Marvin Danneil is President.